When siding a home, it is important to find the total number of linear feet of siding to determine how much siding to purchase. Buying too little will require another order, which will add transportation costs and cause material characteristic differences between the two orders. Buying too much siding will result in wasted material--too much to save and too little to use for another structure.Care determining the number of linear feet of siding will save the homeowner money and effort. Siding linear footage is easy to compute. Determine the number of square feet, also called face feet, of the building's facades to be sheathed with siding. Multiply the rectangular facade's width by its height. If there is a triangular gable to sheath, multiply half the width of the base times the height and add this to the area of the rectangular facade below. Find the area of each window, door, and any other material change on the facade, and subtract these from the sum of the facade's area. Do this for each facade. 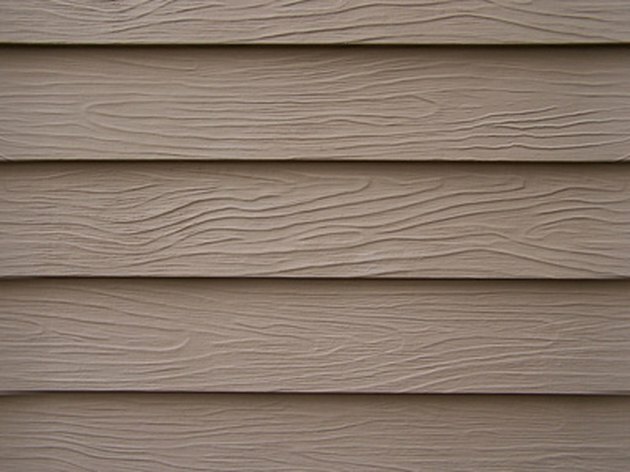 Measure the height of each board of the siding you would like to use for the house. The boards overlap, so you must determine the exposed height by subtracting the amount of overlap from the overall board height. Most siding requires 1 1/2 to 2 inches of overlap. Check the manufacturer's specifications for requirements. As an example, a piece of siding that is 12 inches high and has an overlap of 2 inches has an exposed height of 10 inches. Convert measurements in inches to feet by dividing the measurement by 12. In this example, the exposed height of 10 inches is approximately 0.83 feet. Divide the sum of the facade areas by the overall board height. This will give the linear footage of siding necessary. Continuing with the example above, assume your house has 800 square feet to be sided. Divide the square footage by the exposed board height of 0.83 feet. In this example, 800 square feet divided by 0.83 feet is approximately 964 linear feet of siding. You would need to order 964 linear feet of siding, but it is prudent to have five to 10 percent more than necessary. Therefore, 1,020 linear feet of siding would be appropriate. Ryan Crooks is a licensed architect with 15 years experience in residential, institutional, healthcare and commercial design. Crooks is also an instructor, teaching architecture to high school and college students. He has written hundreds of articles for various websites. What Is a Square of Siding?